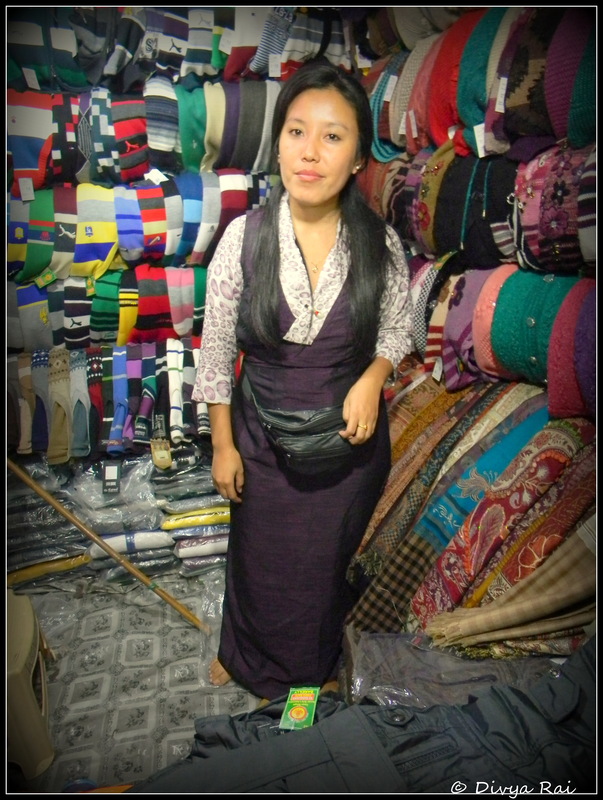 The lady in the picture here is seen wearing something called Chupa, a kind of Tibetan dress for women. It is a long, robe kind of garment, that most of the women from a Tibetan settlement can be found wearing. Came across this one in a Tibetan-market that I found myself roaming around in, one evening. Where is it ? Shimla i guess . These come in two variants which are indicative of the marital status of the wearer. The plain single color like the one that you posted indicates that the lady is unmarried . If the wearer has a differently coloured waistband, it points to the fact that she is married.